Enrico's "Pacific Sardina" is a big sardina fly - perfect for many big game inshore and offshore species like roosterfish, giant trevally, dorado (mahi mahi), etc. 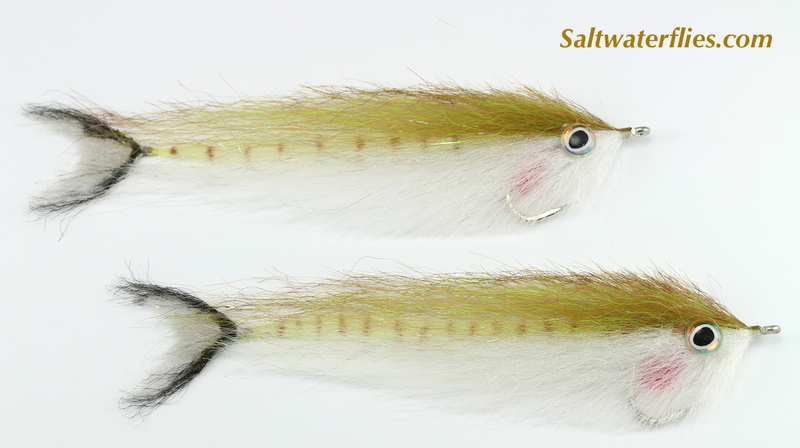 Also a good choice for a large herring or menhaden (bunker) fly. The Enrico's Pacific Sardina measures approximately 6 inches (15 cm) long. These are tied on the Gamakatsu SL12 #4/0 Bluewater / Big Game hook by Enrico Puglisi LTD.